First, please let me start off with an admission: I don't drink Tequila. Haven't in years...Tequila and I just don't get along. Not the "sick" kind of not get along...Just the "can't sleep" kind of not get along. I do have some fancy Tequila in the house for my friends who like it. It's rarely, if ever, out of the cabinet. For today's treat, I just couldn't resist using Tequila in the filling, which is based on the Double Gold shooter: equal parts Tequila and Goldschlager. And, to be honest, I wasn't so sure about this combination...Even after a few sips of the shooter! But, given the occasional spirit of adventure (pardon the pun) on our blog, I just forged ahead! One taste of the finished whoopie pie and I was swooning...Seriously, swooning. 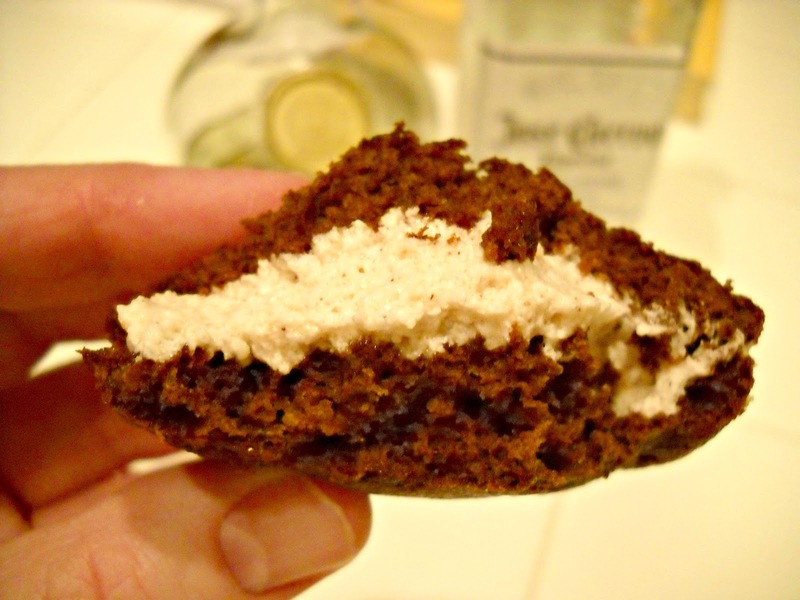 The combination of the liquors and chocolate in concert with the spices made this whoopie pie truly in a class all its own. Very close to a spiked version of an Aztec hot chocolate drink, replete with the subtle hit of heat and smoke at the end from the cayenne and ancho chili powders. 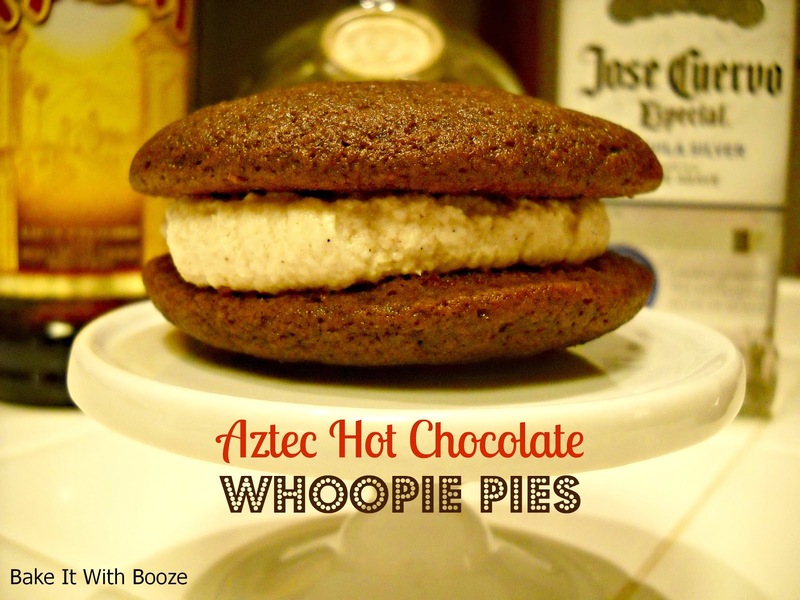 I'm very sure you'll love these...And, we're so sure we're giving away Whoopie Pies by Sarah Billingsley and Amy Treadwell from which this recipe is adapted. This truly is a wonderful whoopie pie book, full of great variations (traditional and not) on the classic whoopie pie with beautiful pictures! I also found this blog which featured Whoopie Pie Wednesdays where you can peruse tasting notes on most of the recipes found in this book. 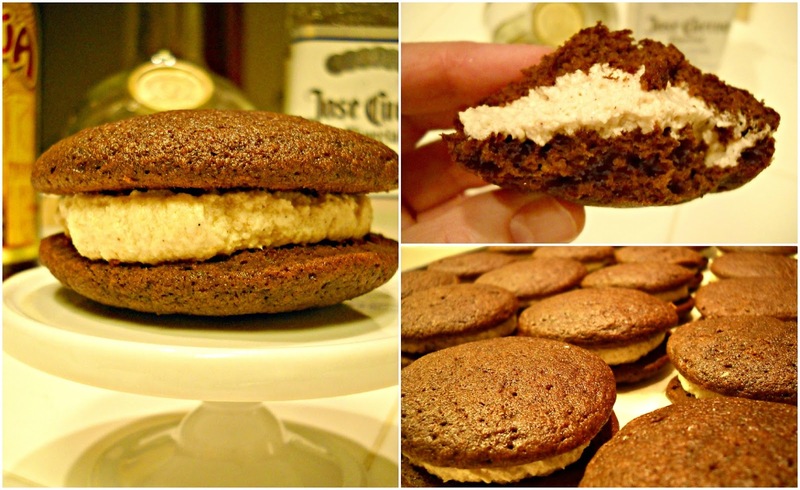 To enter the Whoopie Pies giveaway, please leave a comment to this post telling us which whoopie pie you would make. Please also include your contact information...Giveaway is open until January 5, 2013 at 9pm PST. We'll draw names randomly and it's open to anyone on the planet! Psst...Tell your friends! The giveaway is closed...Thanks to everyone who entered! Congratulations to our winner, Suburban Prep! I'm sharing this recipe over at Cake of the Week's Baking with Spirit Challenge: Light Colored Spirit. Head on over there for more creative recipes using spirits! First, gather your dry ingredients and wet ingredients. Set aside. In your mixer, cream butter and brown sugar until light and fluffy, about 3 minute. Beat in eggs, one at a time. Add vanilla. Beat on medium high for 1 minute. 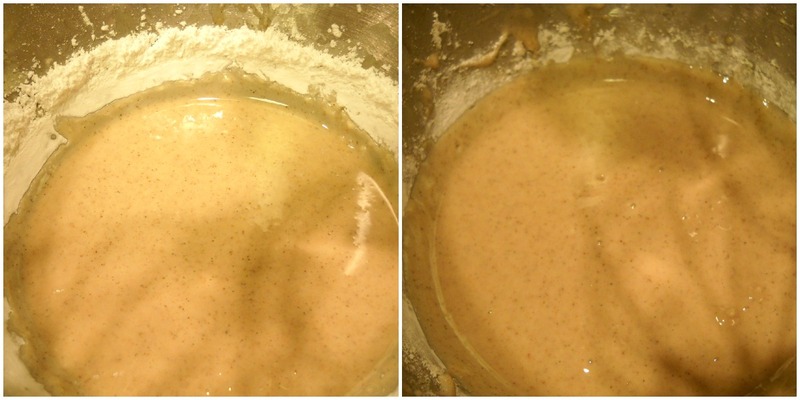 With mixer on low speed, gradually add dry and wet ingredients, starting and ending with flour mixture. Mix in one third of the dry ingredients. Add in half the buttermilk mixture and mix just to combine; scrape down sides. Repeat with remaining dry and wet ingredients. Mix to combine. Smooth the tops using a wet fingertip. Bake for 10 minutes, rotating pans half way through. Cool in the pan on a wire rack for 5 minutes. Remove pies still on the parchment to the counter top to cool completely while you make the filling. 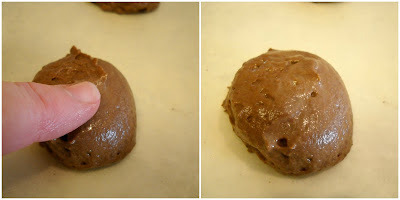 Once the pies are completely cooled and set, start making your filling. Beat the egg white on medium high for about a minute. Add the liquids, 1 cup confectioners’ sugar and the vanilla. Mix in the spices. Beat this on medium high for about a minute, scraping down the sides as needed. Add the remaining 1 cup confectioners’ sugar and beat on medium high for 1 minute, scrape bowl. Once all the butter has been incorporated, beat the filling on medium high-high for a minute until light and fluffy. Basically an Italian buttercream. So good and I know you'll LOVE these! Sooooo hard to stop at just one!! 1. Preheat oven to 375F. Line sheet pans with parchment paper. Set aside. 2. In a medium bowl, mix the dry ingredients. In a measuring cup, mix the buttermilk and Kahlua. Set aside. 3. In a stand mixer with the paddle attachment, cream butter and brown sugar until light and fluffy, about 3 minute. Beat in eggs, one at a time. Add vanilla. Beat on medium high for 1 minute. 4. With mixer on low speed, gradually add dry and wet ingredients, starting and ending with flour mixture. Mix in one third of the dry ingredients. Add in half the buttermilk mixture and mix just to combine; scrape down sides. Repeat with remaining dry and wet ingredients. Mix to combine and finish by hand. 6. Bake for 10 minutes, rotating pans half way through. Cool in the pan on a wire rack for 5 minutes. Remove pies still on the parchment to the counter top to cool completely while you make the filling. 1. Beat the egg white on medium high for about a minute. Add the liquids, 1 cup confectioners’ sugar and the vanilla. Mix in the spices. Beat this on medium high for about a minute, scraping down the sides as needed. 2. Add the remaining 1 cup confectioners’ sugar and beat on medium high for 1 minute, scrape bowl. 3. With the mixer on medium high speed, slowly add the softened butter in 1 tbsp pieces. Adding the next piece once you see the previous piece has been incorporated. Scrape down sides. 4. Once all the butter has been incorporated, beat the filling on medium high-high for a minute until light and fluffy. 5. Spread about 1- 1 1/2 tbsp filling on the underside of one pie and sandwich with another similarly sized pie. Store between wax paper in containers and refrigerate. This looks great - I'd definitely make these macarons! My email is cakeoftheweek@hotmail.co.uk. My family loves loves loves chocolate so this recipe for the Aztec Hot chocolate is one I will be making for sure.!! Yummy! These look so good! 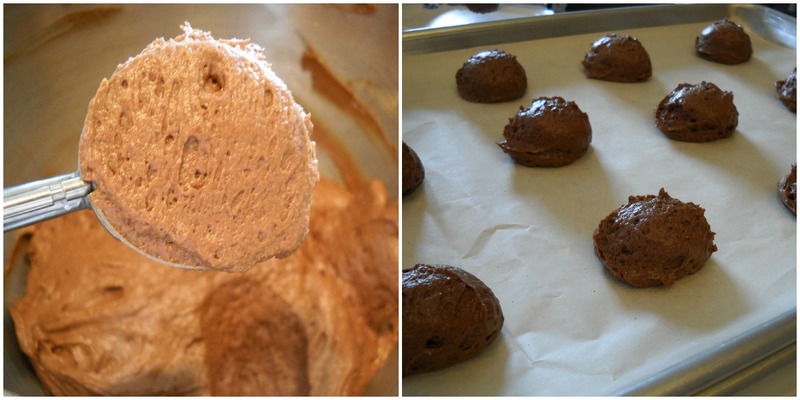 Chocolate & spice- such an awesome combination. I would like to try Gingerbread with Lemon Creme or Coconut! I would live to try the strawberry swirl some time b/c that whoopie pie sounds yummy! My favorite kind to make are standard chocolate and vanilla, called gobs where I'm from, however, German chocolate cake has always been one I've meant to try and never have. Or strawberry shortcake. Chocolate--perhaps with coconut, too!--would be my pick. Still love the idea of these whoopie pies! Can you believe I've never had a whoopie pie ever? I think I need to get on this (long departed) train. I love tequila too, so double win for me! Thanks for taking the time to find an entry to BWS, Ellen, and I hope you're doing well.